Master Officer David Frey joined the Durham Police Department in October 1991. He served on the Department Traffic Unit, TACT Team for 16 yrs, he is an accident reconstruction officer. 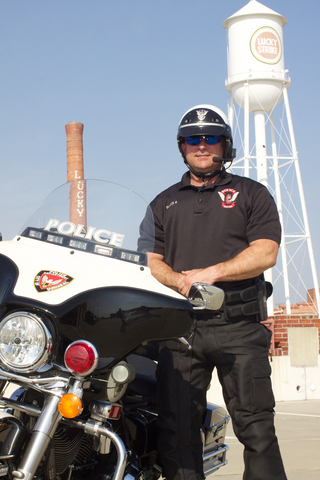 He graduated the Durham Police Department Basic Police Motorcycle Operator Course in Jun 2010. He completed the N. C. Bike Safe Assessor Course in 2012. He is a certified Child Passenger Safety Seat Technician and a General instructor.